Want to generate tightly targeted traffic to your website? We help your business make more money through highly optimised Facebook advertising. We identify profitable audiences that you can use to showcase your product or service, using multi-touch point marketing to keep you at the forefront of modern marketing. We split our funnel into 3 stages – Acquisition, Re targeting & Loyalty. So you’re hitting customers at every touch point whether they’re browsing on their mobile, tablet or pc. Acquisition is when people don’t know about your brand yet. We show them your brand for the first time to get them invested. Loyalty is where someone’s become a customer and you’re re-engaging them in a conversation, to hopefully cross-sell or up-sell. We create tailored tightly grouped audiences that have a relevant interest related to your product or service. We design the ads and write engaging copy, to get the best results from your target audience. We test many variations on several audiences and creatives to drive more sales at lower costs. 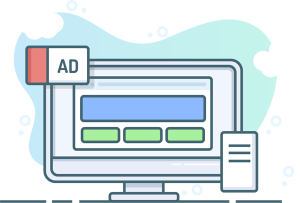 Monthly detailed reports and dashboards to show exactly how the ads are working for your business. How much do you charge for Facebook Ads? Much less than most agencies! We’re realistic and understand that you need to be cautious with the amount of money you invest to get things growing. It isn’t in our interest to make you pay for something you’re not going to get any value out of. Your success is our success! It’s our job to help you achieve results that are within your budget, so you can grow at a realistic rate. Our fee is 15% Of your Ad-spend or £295 per month, whichever is greater. That said, We are completely flexible to fit around you. We always deliver a lot more value than charged for. We will always give sensible advice to match your budget and resources.